Purpose: This tutorial shows you how to visualize the phonon modes found in an earlier phonon calculation, using a basic python script. As in other tutorials, we consider the diamond crystal as example. 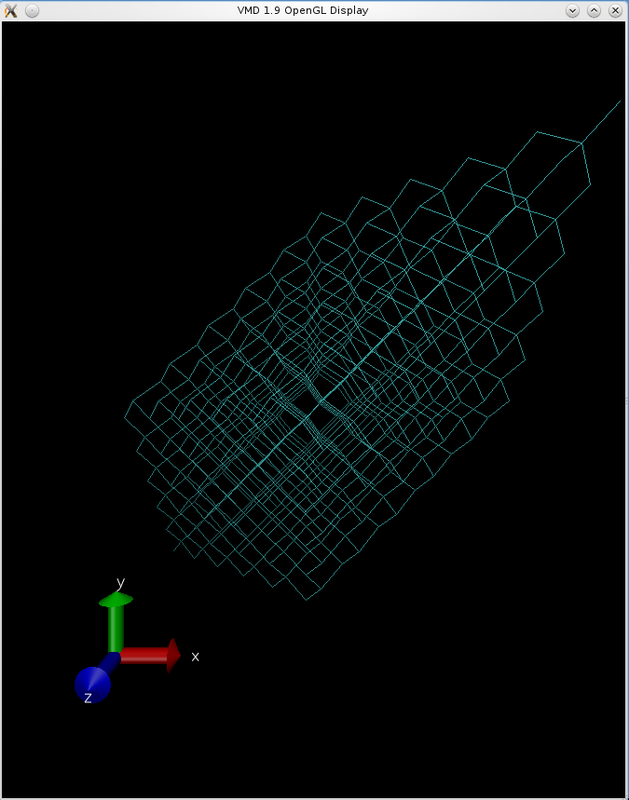 Continue in the working directory where you did the phonon calculation, e.g., /home/exciting-tutorial/diamond-phonons. In particluar you need to have the files input.xml and PHONON.OUT ready. The script will also read the relevant species files, C.xml in our example for diamond, in the path specified by $EXCITINGROOT/species. to obtain a supercell of 4$\times$4$\times$1 unit cells. When executing the script PLOT-phonon-anim.py, you will be required to enter the number of steps in the animation which complete one period of the vibration. Specify, e.g., 20 steps, as above. 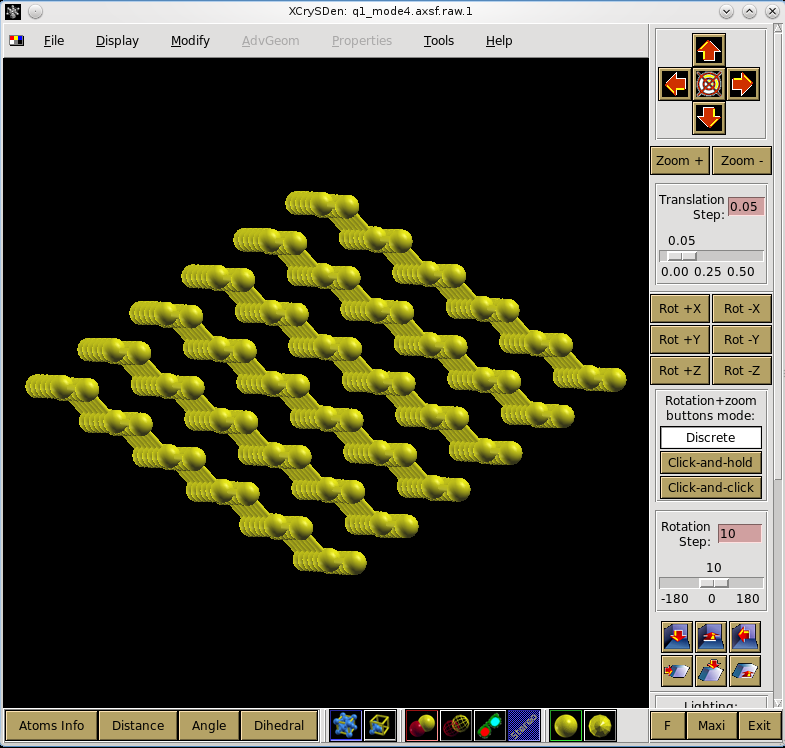 The screen output of the script is completed by information about the number of atoms, number of q-points, and the frequency (in cm-1) for each mode at each q-point. Beyond this information, the script produces a number of files, named, e.g., q1_mode1.axsf and q1_mode1.xyz. One file is written for each mode at each q-point. These files contain atomic coordinates for the supercell at every step of the animation. 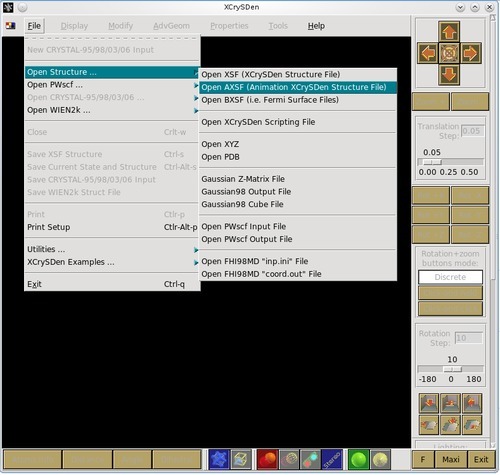 The axsf format can be used in connection with XCrySDen (see next section), the files with extension xyz are simple xyz-coordinate files. You can click on the larger window and keeping the click you can also change the angle of view to the cell. Now, you can use the arrow buttons in the smaller window to watch the animation of the mode. 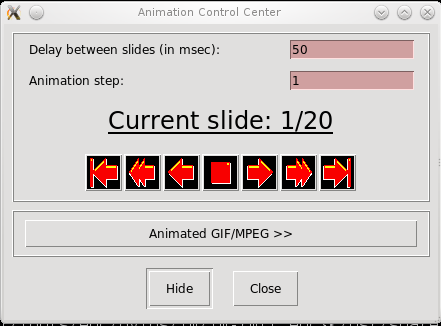 If XCrySDen is properly set up, the button Animated GIF/MPEG of the smaller window and the dialog that opens can be used to produce a movie of the animation, refer to the XCrySDen webpage for details. 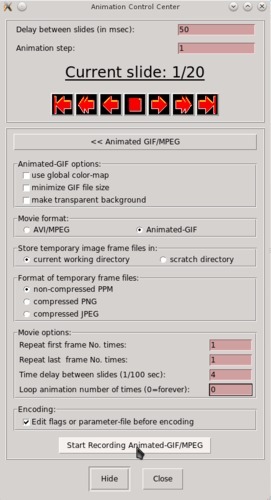 The temporary frame files can be reused at a later point to change the settings of the movie (see Section 3). Many visualization packages can plot the files with extension .xyz. Here, we make use of VMD as an example, and assume that you have an installed and properly set up version available on you system. Use the Graphics -> Representations button to change the appearance of atoms and bonds, colors and that like. You might also want to change to a non-perspective display or omit the axes in the image, using the Display menu. Adjust path, filename and movie duration according to your needs. 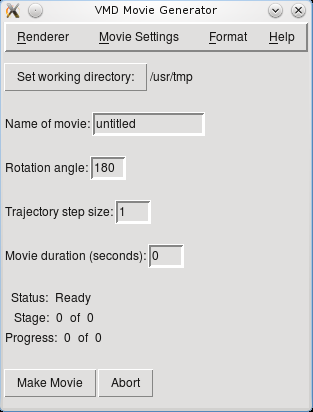 Make sure you set Movie Settings -> User Defined Procedure and start the animation in the VMD Main window by pressing the bottom right arrow button, prior to pressing the Make Movie button. 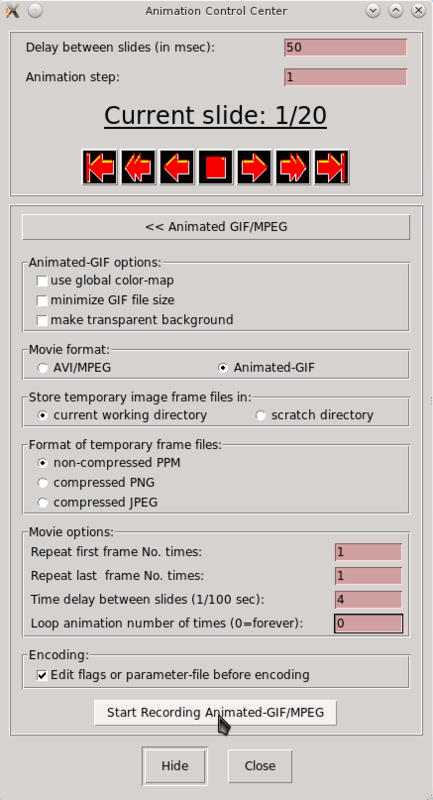 By default VMD produces an animated GIF using the convert. See the VMD webpage for details and other settings. Note that in order to be able to adjust the settings of your movie later, we recommend to keep the intermediate images by unchecking Movie Settings -> 4: Delete Image Files, see Section 3. As another example, let us have a look at the acoustic mode 1 at q=(0.1, 0.1, 0), on the line Δ (i.e. 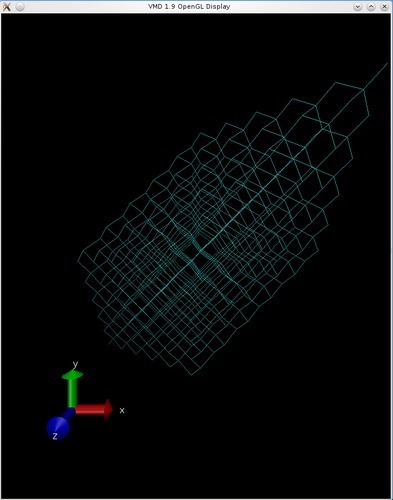 Γ-X). You have to rerun the phonon calculation with this q-point added to the list, and invoke the script PLOT-phonon-anim.py once more, to obtain the appropriate .xyz-file. for the first, second, etc. frame. VMD uses the .ppm image file format by default. This format can also be chosen in XCrySDen, so we use it here exemplarily. For other file formats the procedure would be analogous. 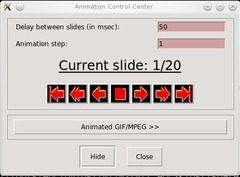 In general, it is not recommended to use .gif temporary files (as a necessary compression step should be done only when creating the movie). where -delay 4 keeps every frame displayed for 0.04 seconds and -loop 0 means to repeat the loop infinitely; the movie is output to file q1_mode4.gif. If you want to change the size and scale of your images at this point you can use, e.g. where -crop 560x420+10+10 means that a rectangular region of 560x420 pixels, offset by 10 pixels in x and y, is used. The option +repage then resets the image canvas, and -resize 80% rescales images to 80%. The result is a smaller image size in the movie, with everything outside the region of 560x420 pixels cut off. There are many more options to the convert program, which are explained at the ImageMagick website. More details on preparing animations can be found here.